John Henry Felix was honored on Saturday, Jan. 12, 2019, at Hawai‘i Wing Civil Air Patrol’s headquarters building with the unveiling of a commemorative plaque dedicating the building in his name. 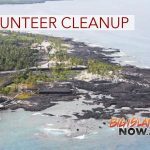 A member of Civil Air Patrol for over 50 years, Colonel Felix is known throughout Hawai‘i as a businessman, public servant and philanthropist. 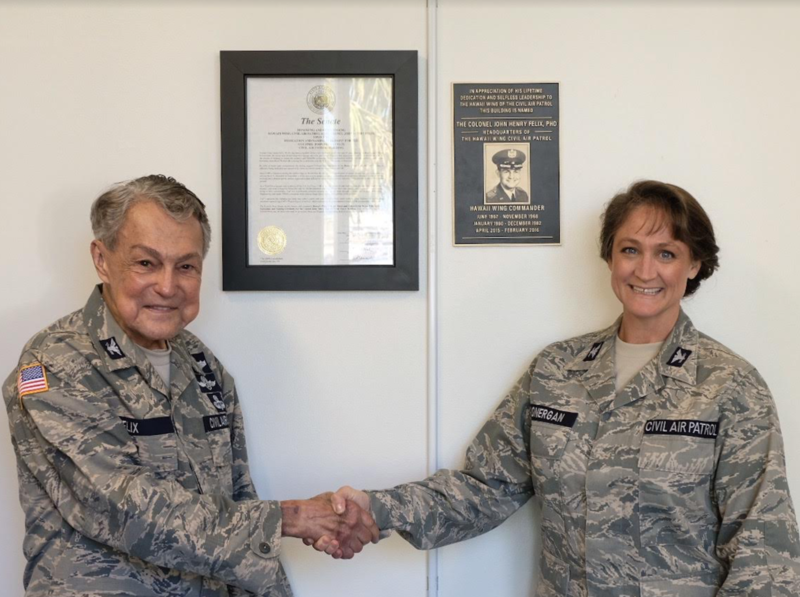 Hawai‘i Wing Civil Air Patrol former wing commander, Colonel John Henry Felix, and current wing commander, Colonel Chantal Lonergan, at the unveiling of a commemorative plaque dedicating the wing headquarters building in the name of Colonel Felix on Saturday, January 12, 2019. 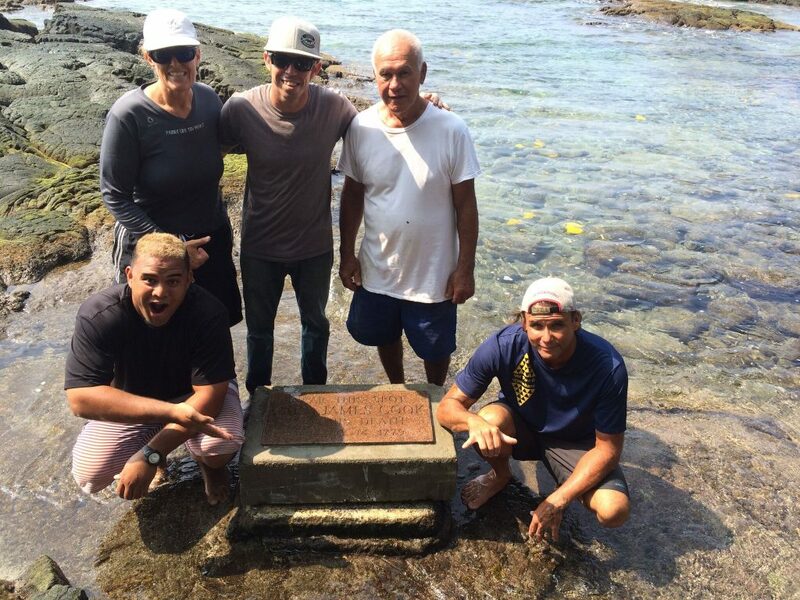 PC: Captain Jen Herrington, Hawai‘i Wing Civil Air Patrol Public Affairs. 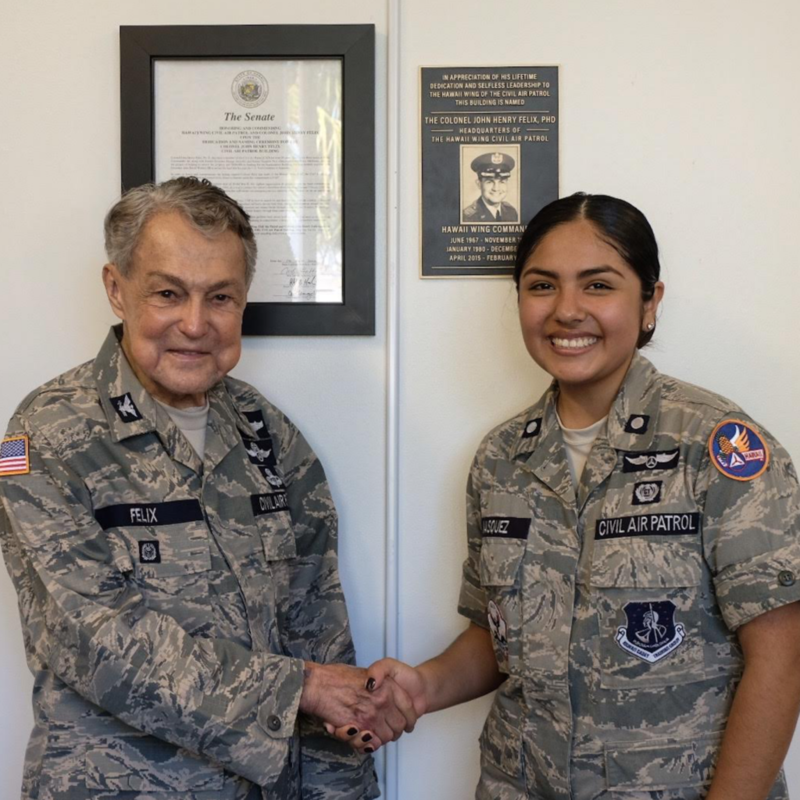 Hawai‘i Wing Civil Air Patrol former wing commander, Colonel John Henry Felix, and Cadet Second Lieutenant Bianca Vasquez of Maui Composite Squadron at the unveiling of a commemorative plaque dedicating the wing headquarters building in the name of Colonel Felix on Saturday, January 12, 2019. Vasquez is the first female cadet in her squadron to achieve private pilot licensure. 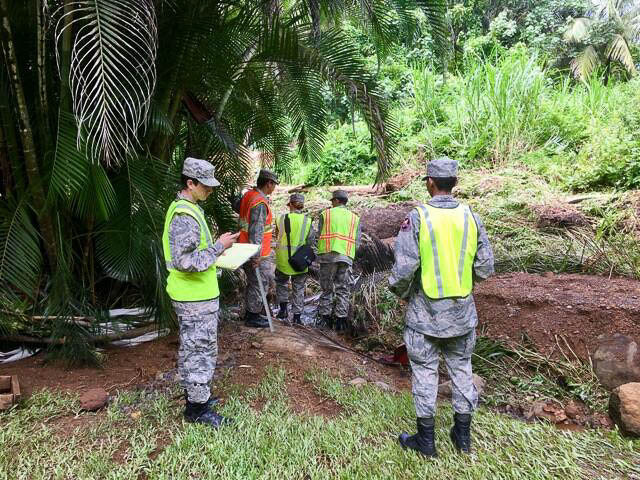 PC: Captan Jen Herrington, Hawai‘i Wing Civil Air Patrol Public Affairs. 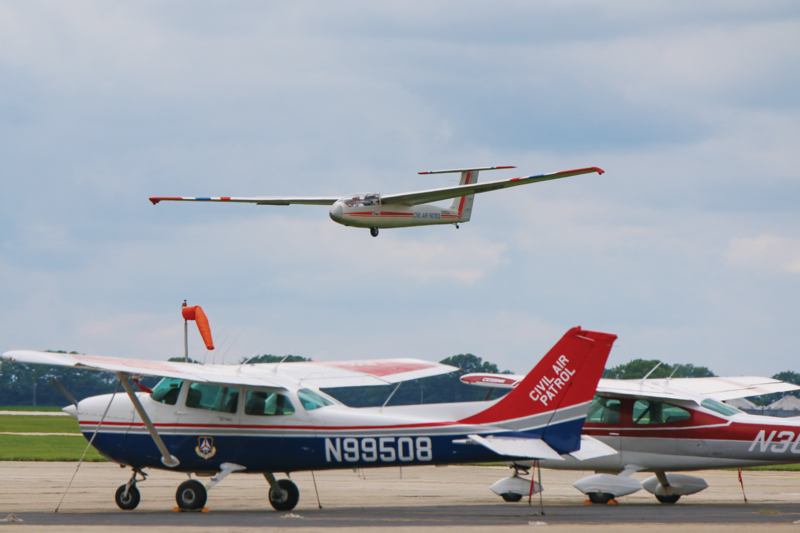 Civil Air Patrol, the longtime all-volunteer U.S. Air Force auxiliary, is the newest member of the Air Force’s Total Force. In this role, CAP operates a fleet of 560 aircraft, performs about 90 percent of continental U.S. inland search and rescue missions as tasked by the Air Force Rescue Coordination Center and is credited by the AFRCC with saving an average of 80 lives annually. CAP’s 61,000 members also perform homeland security, disaster relief and drug interdiction missions at the request of federal, state and local agencies. In addition, CAP plays a leading role in aerospace/STEM education, and its members serve as mentors to over 26,000 young people participating in CAP’s Cadet Programs. 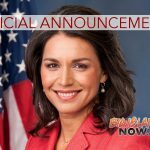 For more information, go online.